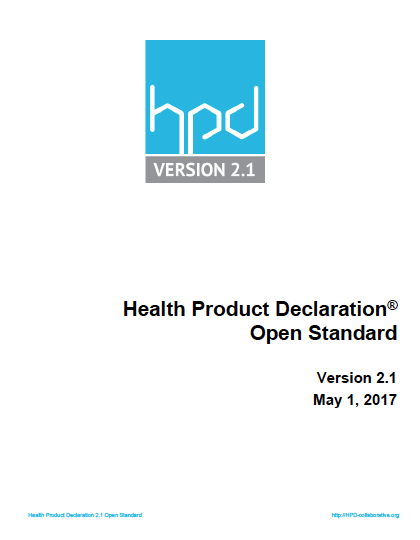 In May 2017, the HPDC released the most current version of the HPD Open Standard, version 2.1. On August 1, 2017 HPD Builder 2.1 was implemented, enabling easy creation of HPDs using the 2.1 Standard. For more information on HPD Builder, please click on this link. A “Fillable Form PDF” will be released in September 2017, to enable offline creation of HPDs with the 2.1 Standard. When it becomes available, the Fillable Form package will be downloadable on this page. You can download the Standard on this page, as well as the Appendices and Errata (when published).